Simplify your life by marking off the time-consuming, dirty job of oven cleaning from your to-do list. You don’t have to do it. You have the benefit of Noble Clean. It’s dirty, and it’s hard work so you must let our technicians take care of that headache for you. We use the latest cleaning methods and updated eco-friendly materials that only require a minimum of scrubbing. You will have access to your oven in no time. Once we’ve finished cleaning your oven, there is no lingering chemical aroma. Our company employees are true professionals who not just clean your oven, but increase its life expectancy. A deep clean also leads to lower energy bills, so money-saving is a real incentive to use our services. We know how to clean all makes, models, and brands. We also offer the options of cleaning your hob and extractor. We have highly trained and qualified specialists who know the importance of treating each unit individually. They know how to apply the skills they have to any appliance inside or outside of your kitchen. When you use our services, you will see how flexible and professional our oven cleaning services are first hand. You can read our customer reviews and testimonials before you decide. 5. We have appointments available seven days a week! Our cleaning teams are available across most parts of Yorkshire although our coverage is being expanded to cover more areas every month. We are capable of cleaning all types of cooking appliance. We utilise a specially designed dip tank method that involves care while we disassemble your cooking appliance, then soaking each piece in a vat of organic cleaning solution. We clean the main body of the appliance before we gently wipe it free of all stains and then reassemble it. Call us to book one of our oven cleaning experts today. Our quality employees at Noble Clean are always in demand, so please book early. 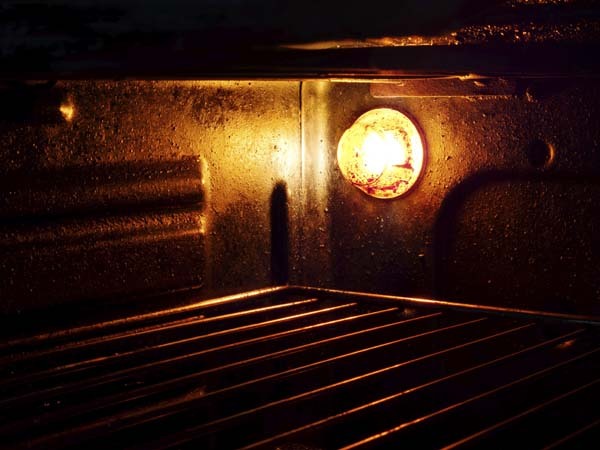 Whether you are in need of a regular oven cleaning service for a restaurant, or something in your home, we can be there when it suits you. We can always arrange a booking for you that is convenient and fits your needs. We are always happy to provide you with a FREE quote at no obligation to you. You may also request your quote via our website by visiting the contact us page. Aberford, Adel, Aireborough, Alwoodley, Armley, Arthington, Bardsey, Barwick-in-Elmet, Beeston, Boston Spa, Bramley, Bramham, Bramhope, Calverley, Chapel Allerton, Churwell, Collingham, Colton, Cookridge, Cross Gates, Farnley, Farsley, Garforth, Oven Cleaning Guiseley, Harewood, Headingley, Holbeck, Horsforth, Hunslet, Ireland Wood, Killingbeck, Kippax, Kirkstall, Lawnswood, Leeds City Centre, Meanwood, Methley, Micklefield, Middleton, Moor Allerton, Moortown, Morley, Oakwood, Otley, Oulton, Pool-in-Wharfedale, Potternewton, Oven Cleaning Pudsey, Rawdon, Rodley, Oven Cleaning Rothwell, Roundhay, Scarcroft, Scott Hall, Scholes, Seacroft, Shadwell, Swinnow, Stanningley, Stourton, Tinshill, Thorner, Weetwood, West Park, Oven Cleaning Wetherby, Whinmoor, Whitkirk, Wortley and Oven Cleaning Yeadon. Oven Cleaning Tadcaster, Oven Cleaning Knaresborough and surrounding areas. Oven Cleaning Bristol and surrounding areas. Oven Cleaning Warrington and surrounding areas. Oven Cleaning Edinburgh and Oven Cleaning Glasgow and surrounding areas. Oven Cleaning Cardiff and surrounding areas. Oven Cleaning Nottingham and surrounding areas. Oven Cleaning Peterborough and surrounding areas. Oven Cleaning Swindon and surrounding areas.